If trees could talk, this one would have almost a century’s worth of stories. 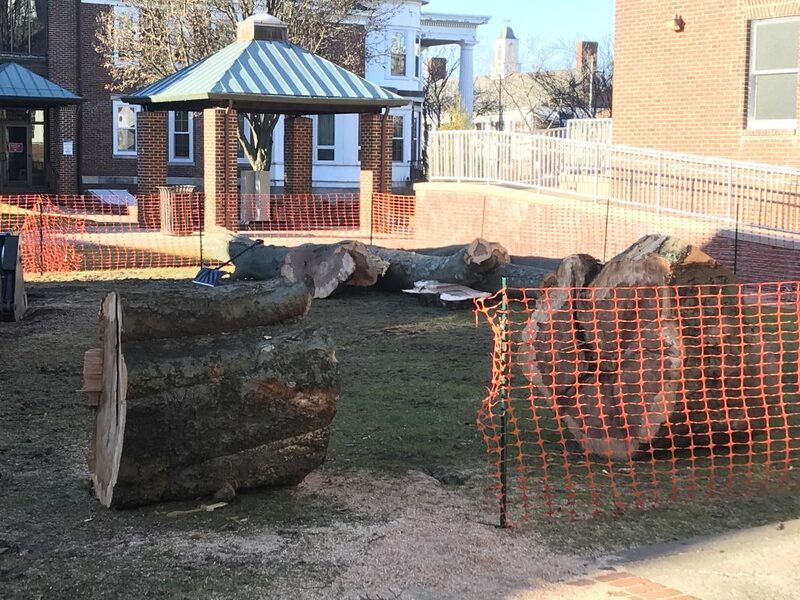 Unfortunately, Toms River officials said they had no choice but to cut down the 47-foot high Beech tree Tuesday after tree experts said it had become unstable and threatened the municipal building and library next to it. The tree has been located in the courtyard outside the building for just under 100 years, according to officials. 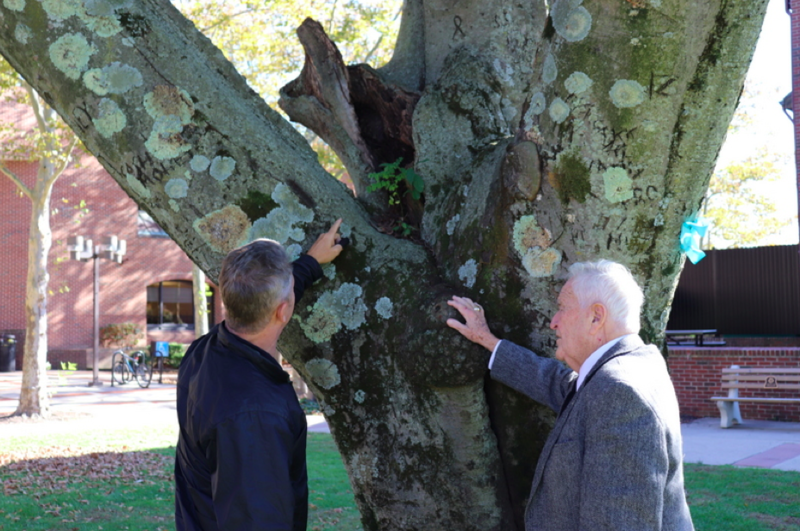 Craig Ambrosio, (left) director of the Parks, Buildings and Grounds department for the Township, shows Mayor Thomas F. Kelaher (right) the damage to the Beech tree. The tree needed to be cut down “in the interest of public safety,” the mayor said, after a licensed tree expert from Aspen Tree Company determined that due to heavy foot traffic and lawn mower usage in the root zone of tree, there was significant soil compaction, to which Beech trees are extremely sensitive. The company also noted there had been an increase in carpenter ant activity near the base. 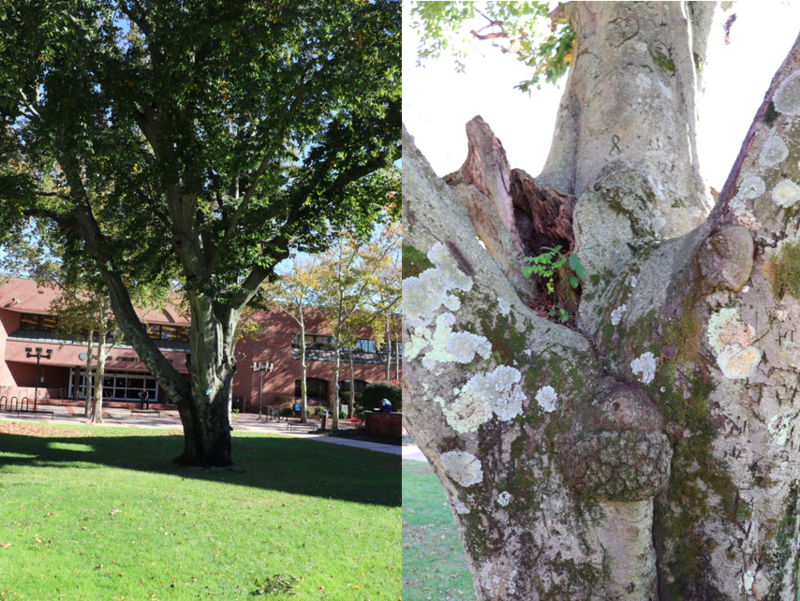 The tree was also showing signs of bleeding cankers, most likely the result of root rot. The company says in its most recent condition, the tree posed a greater-than-average degree of risk of failure of limbs. Kelaher said once the tree comes down, he would like to plant another one or possibly several in its place. 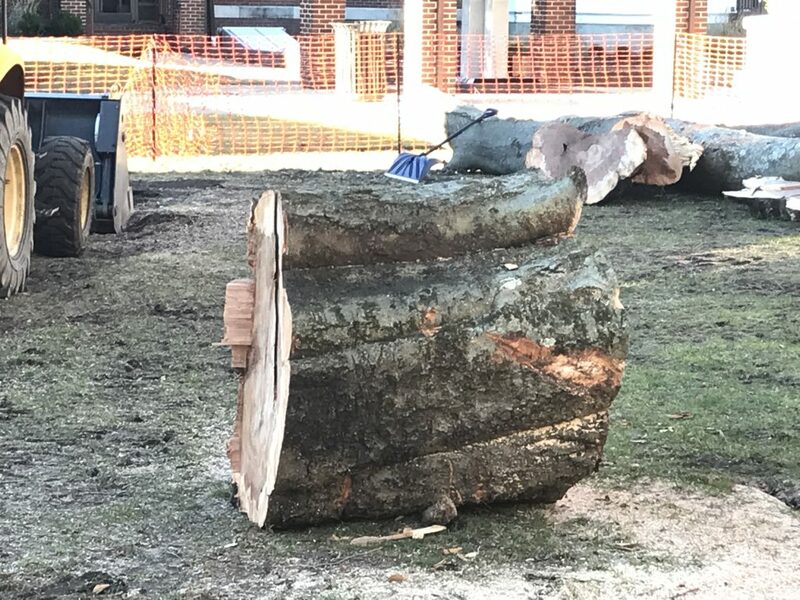 “We are in the process of discussing ideas for replacing the tree and what we would like to see in the courtyard for the future,” he said.